Ever feel achy after sitting at your desk all day? It might start with your neck, and then trickle down to your back or even your legs. In our office, we are taking a stand against sitting. We added a new piece of office furniture from The Global Furniture Group called the Foli Sit-to-Stand Height Adjustable Table. 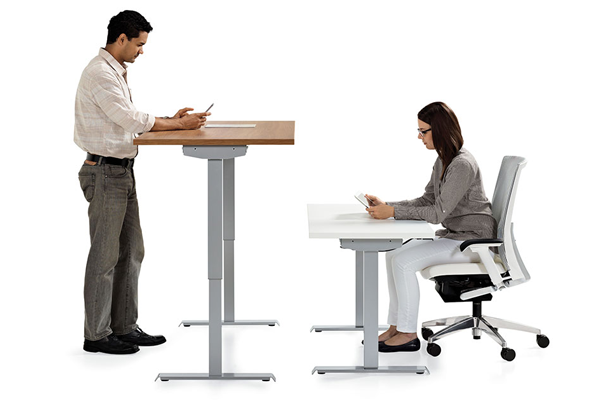 Foli allows users to easily adjust from sitting to standing without skipping a beat. This table encourages continuous movement to promote better body health. 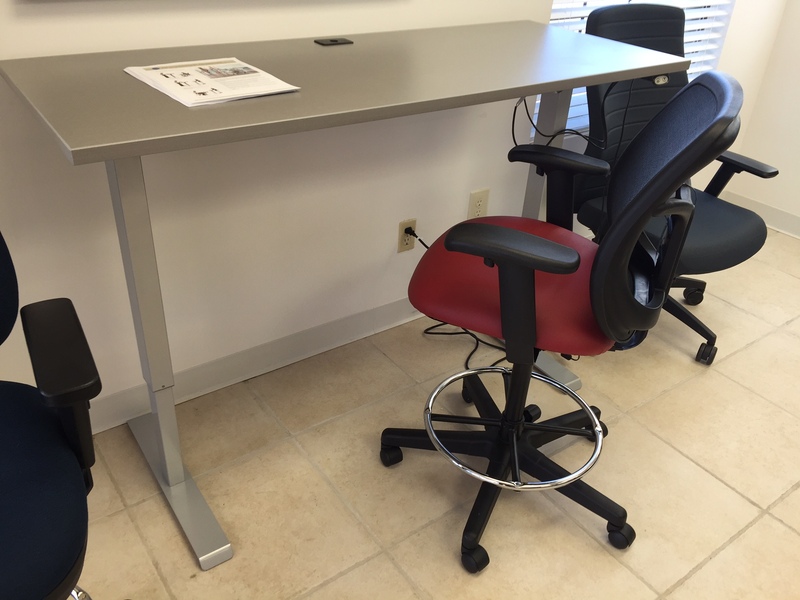 When paired with an ergonomic chair, it is a great desk for anyone. Movement throughout the day revitalizes blood flow, boosts energy levels, and reduces body stressors and fatigue. The great thing about Foli is that it can be used with other Global desks and work stations. Don’t forget to check out the many other desks we have to offer. We have a demo model in our showroom so come check it out!